Genesis Mega Man: The Wily Wars (JPN) "Wily Tower" in 09:36.46 by jc564. Mega Man: The Wily Wars is a collection of the first three NES Mega Man titles with enhanced graphics and sound. 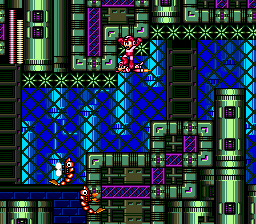 Along with the original games is the short game "Wily Tower", where special bosses exclusive to this game can be fought with your choice of any weapon from the first three games. Jc564 abuses zipping glitches similar to those in the NES game runs to beat the entire tower in barely over nine and a half minutes.